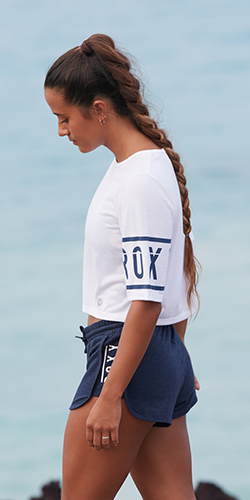 ROXY and SONY have teamed up to create a limited edition SmartBand, featuring designs from the ROXY Outdoor Fitness collection! The SmartBand Roxy allows you to set customizable fitness targets and track all of your daily physical activity through a beautifully designed wristband that automatically synchs with your smartphone. You can monitor all of your movements, as well as answer calls and receive messages, right through the SmartBand Roxy and the Lifelog app. A perfect solution for a girl who is always on the go and ready for an adventure, the SmartBand Roxy merges fashion with technology in a unique way. Our favorite feature: its waterproof! So no need to take off the SmartBand Roxy when you go surfing or stand-up paddleboarding! Follow #SmartBandRoxy on social media for more updates!